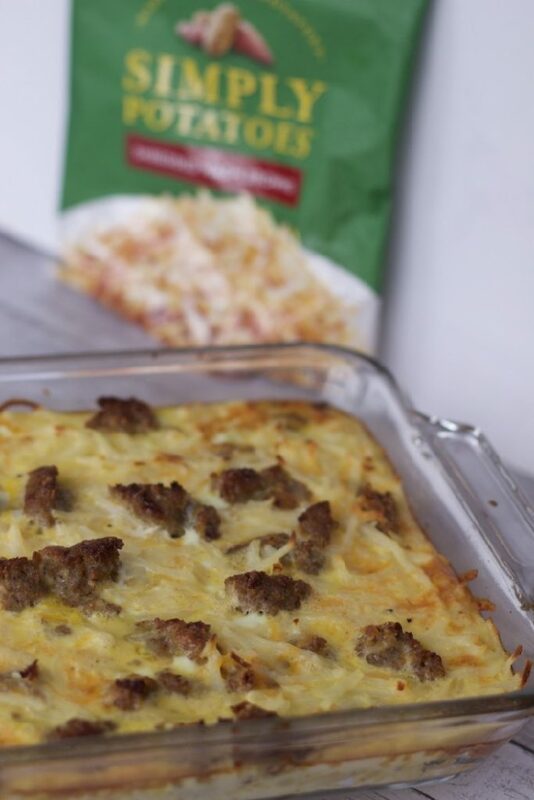 This post about an easy Easy Breakfast Bake hash brown egg casserole recipe is perfect for any family brunch or even for a quick dinner option thanks to the ease of Simply Potatoes. A few nights ago, I made an amazing Hash Brown Egg Casserole that we ate for breakfast and dinner. Everyone one loved the addition of hash browns, sausage and sweet peppers to this make-ahead brunch recipe. This year we might be traveling and if I am on vacation I want to take shortcuts in cooking. I have revised this recipe to still include all the flavors but use Simply Potatoes Simply Potatoes are simply made with always fresh, never frozen potatoes that go from farm, to fridge, to fork. No prep work for this busy mom. Be sure to read to the bottom because we are giving away free product coupons. 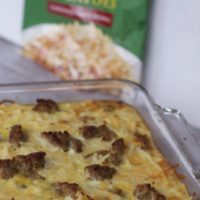 If you really want to take a shortcut on this Egg and Hash Brown Breakfast casserole, find precooked sausage or bacon then all you have to do is assemble and bake. 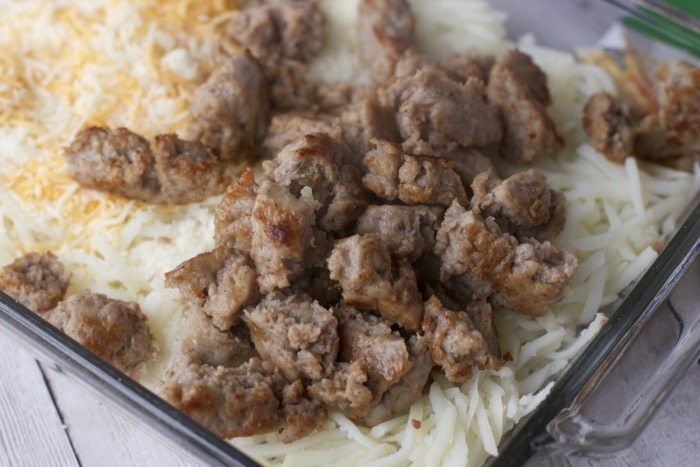 The perfect recipe to make in a kitchen while traveling. For those who will be using uncooked sausage or bacon, while you are preheating the oven, fully cook your protein. 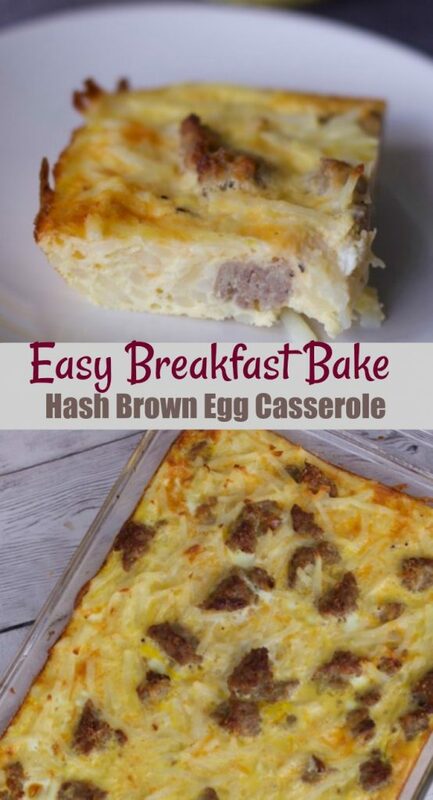 You could even use a mix of both for a fully loaded breakfast hash brown egg casserole. Mix everything in a big bowl, told you this was simple when you already have some of the ingredients pre-chopped for you. Just dump it all into a 9 x 12-inch pyrex dish. Next, make your egg mixture and pour it on top of the potatoes, cheese and meat mixture. This is the part that takes a little planning, it takes about an hour to bake so either get up super early or have a lot of baked goodies and fruit out to keep your hungry guests and kids happy. Grab yourself a slice, you may need more than one, it is so delicious. 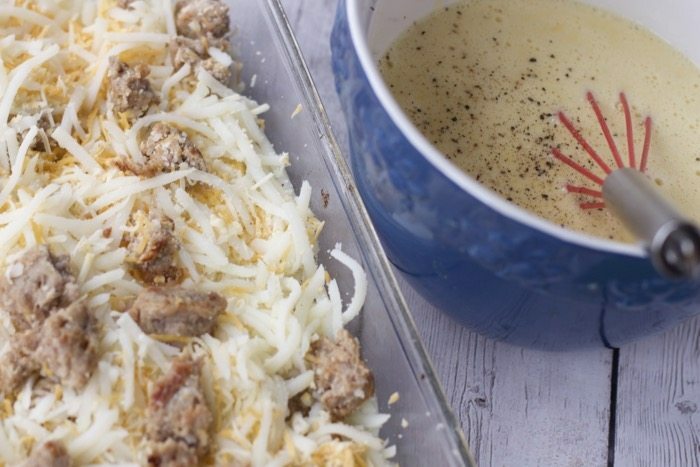 What is your favorite Brunch Easy Breakfast Bake Egg Casserole recipe? In a large bowl, combine the hash browns, bacon, cheese and salt. Spoon into a greased 13-in. x 9-in. baking dish. In another large bowl, beat eggs and milk until blended; pour over hash brown mixture. Sprinkle with paprika. Bake, uncovered, at 350° for 45-50 minutes or until a knife inserted near the center comes out clean. Allow to sit 5 to 10 minutes before serving. Pin me for your next brunch! I would use the crushed garlic. I would use the crushed garlic a lot. I love au gratin potatoes! My favorite is the Baby Potatoes with Garlic and Dill. My favorite is the Baby Potatoes with Garlic and Dill. I just love dill and garlic! I would add garlic – everything (almost) is better with garlic! I would use the Dorot crushed ginger. The mashed ginger sweet potato recipe sounds like a nice change and really good. I like the CHEESY HASH BROWN SKILLET DINNER. Thanks for the chance to win! My favorite is their recipe for the cheddar and bacon potato salad. The Cheesy Hash Brown Cups look really yummy to me! Yum, that looks so good! I would also love to try the Spinach and Goat Cheese Hash Brown Nests! I would use the sauteed glazed onions to make hash brown casserole. I love the cheesy hash brown cups! The Cheesy Hash Browns recipe looks good. I would like to use the Garlic Tray! My favorite is the Crunchy Topped Cheese Hash Browns! Bacon and Hash Browns Breakfast Bread. Gotta try that one. The Cheesy Hashbrown Cups look good. The Barbecue Chicken Casserole sounds good. I think the Cheddar and Bacon Potato Salad recipe looks good. I like the Hash Brown, Egg, and sausage Casserole. It is so good. My favorite is Cheesy Hash Brown Skillet. That looks so good. Cheesy Hashbrown Cups looks delicious as well. I like the Easy Hashbrowns recipe. Simple and delicious! What a great breakfast dish!! Definitely my sort of breakfast. I am full on a savoury girl! Just perfect for feeding a crowd over the Easter holiday. I love a good breakfast casserole recipe! I often have to feed a crowd and these rule! YUM! This looks so easy and delicious! 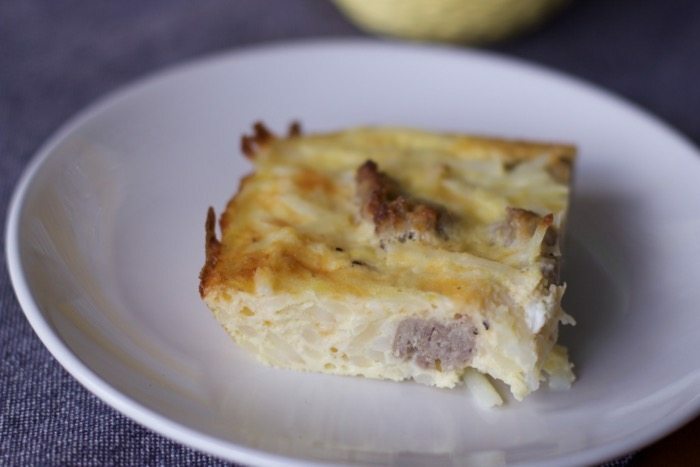 Love the idea of putting hash browns in a breakfast casserole. 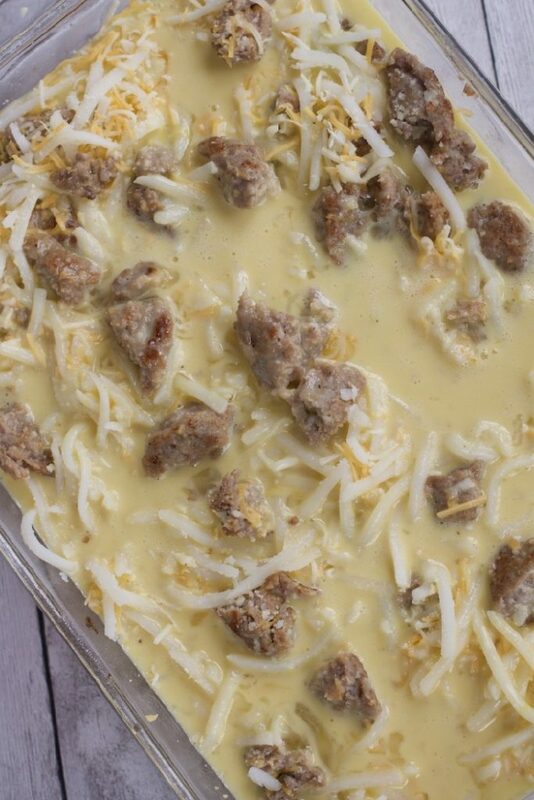 I love a good breakfast bake and this would be a great casserole for Easter morning. 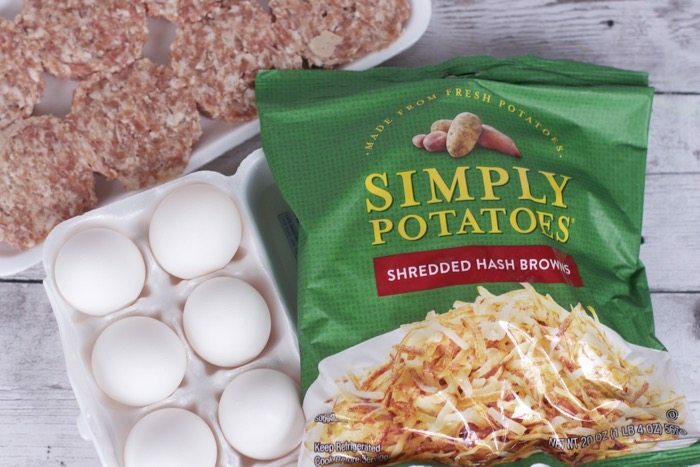 I’ve never used those pre-shredded hash browns before, but love the convenience they give. Will look for them at the market.